Writing content is one of the most time-consuming tasks when you are a small business owner or solopreneur. We know how important content is for our online business – how else will our audience come to know, like and trust us? How else do we show who we are, what we do and who we serve? Since blogging takes so much heart and soul and ticks of the clock, it makes sense to have a process for enhancing productivity and capitalising on the time we make available for writing content. And that is why batching your blog content is the key to a happy, healthy holistic business – one where you are regularly delivering value, attracting your tribe and not burning out in the process. Some of the world’s most successful entrepreneurs use batching as a productivity hack, and from my own personal experience, when done right, it works. Before we dive into this cheat’s guide to batching your blog content, let’s step back a moment. Batching your blog content is just what it sounds like: grouping similar things together, blitzing through them all like a girlboss machine, ticking boxes, screaming YES, throwing an air punch then moving on to the next batch of stuff. Put scallop on chopping board and remove weird bag of attached orange crap. Place scallop in herby crumb mixture. Decorate scallop with dill frond. Proffer pretty, tiny scallop canapé to unimpressed salivating punter. Tip out all the freaking scallops, or a big batch of them. Remove all weird orange sacks. Serve a nice big bunch at once. And the hapless amateur cook is like, Oh! Duh! Yay! Suddenly there is a production line that allows them to get through a whole heap of tasks at once because they get into a flow, they find their focus and after a few repetitions they get even faster. And they all live scallopy ever after. You can apply the same principle to your blog content writing. Write 4 blog post drafts. Rest. Breathe. Source or design the images you need to accompany all 4 posts. Big grin. Optimise your posts if you’re SEO savvy. Do a dance. Upload your posts, pop your images in, schedule to publish. So hot. Share your content in your social media scheduling tool. Cross the finish line. Pop the champagne! Notice that instead of drafting a blog post, then editing it, then optimising it, then finding or creating an image, then publishing it and promoting it, then beginning the next post, we are batching similar tasks together, then moving on to the next batch? This is the key to GETTING SHIZ DONE when it comes to creating your business content. Think about it: once you’ve drafted your blog content, to then use the non-batching approach you’ll need to keep switching your brain to a new gear in order to achieve the next step. You’re typing content, then doing keyword research (or vice-versa), then logging into your website, then heading to Canva or Pixabay for images, then back to your site, then into Buffer or Hootsuite or what have you for scheduling social posts, then back to typing and creating. All that switching = lost productivity. There have been many explorations into productivity. Articles, studies and books abound on the subject of techniques and hacks that enhance and hinder productivity. It’s widely agreed that focusing on one task at a time instead of multitasking and constantly switching dramatically improves productivity. 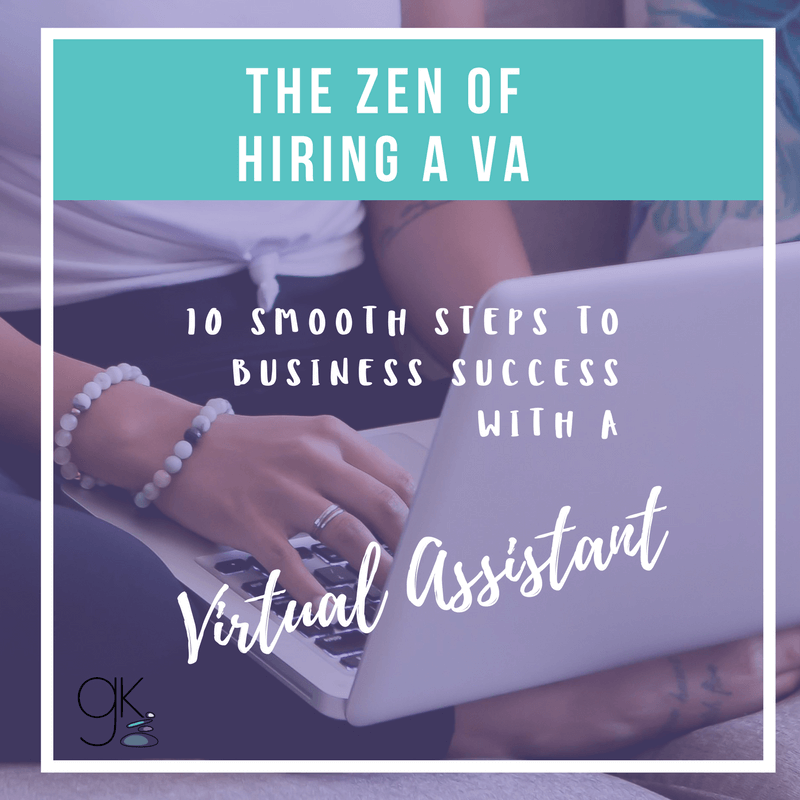 This is even more important for Virtual Assistants and others whose work is infinitely varied and serves multiple clients each day. Finding a way to batch our business tasks is key to not losing precious time in the process of micro-managing and diluting our focus. Draft 4 blog posts. Limit your time to draft each post to 30–60 minutes (set a timer on your phone), then stop and move on to the next. In 2–4 hours you’ll have draft content for 1 month, 2 months or 4 months, depending on how often you post. If they are incomplete or a bit random, don’t worry! The point is to get the starting point DONE. Get your VA to do the rest. Ok, ok, as a Virtual Assistant I am biased and maybe I’m being a little cheeky. But seriously, if your VA can take a rough draft that you’ve whacked together in half an hour, edit it until it’s shiny and beautiful, then take over the process of SEO optimising, formatting, sourcing or designing images, publishing and promoting your blog content, you can get your entire content-management sequence done in 30–60 minutes per post. Wise. How much time will that give back to you? How much more will you be able to dwell in YOUR zone of genius? And, bottom line, what will this do for your bottom line? If you’re not yet at the stage where you can outsource your content management to a VA, the trick to successful batching is to have a plan. Spend some time plotting out your next few blog posts so that when it’s time to sit down and create, you can MOTOR, baby! Otherwise you’ll find that you sit down to write and you draw a blank, and you end up using your precious batching time to either plan out your ideas, doodle on a serviette or bugger around on Instagram. Nut out all the moving parts of your process. What are the steps that you personally take to get a blog post from draft to published to promoted? Each of those steps is a discrete batch that you can do all at once for multiple posts. Write out your process so that you don’t have to think about it when it’s time to get cracking. Using task-management software like Asana (one of my FAVOURITE pieces of software) can help you be systematic. Think of your batching as a step-by-step process, create a task for each component of your process, make an appointment with yourself, clear away all distractions and get stuck in. Optional accoutrements: lap dog and big pot of tea. What’s your process for batching your blog content? Let me know! Want stress-free content management? Inquire about my content-specialist Virtual Assistance for women wellness entrepreneurs. This entry was posted in Blog, Content, Content Writing, Copy editing, Entrepreneur, Small Business, Virtual Assistance, Website content and tagged content writing, Copy editing, Health and wellness business, healthpreneur, productivity, Website content. Bookmark the permalink. ← Create Animations with Canva – New Feature!